LONDON (AP) — Facial recognition technology being considered for London’s 2012 Games is getting a workout in the wake of Britain’s riots, a law enforcement official told The Associated Press on Thursday, with officers feeding photographs of suspects through Scotland Yard’s newly updated face-matching program. The official said that the Metropolitan Police’s sophisticated software was being used to help find those suspected of being involved in the worst unrest the force has faced in a generation, although he cautioned that police had a host of other strategies at their disposal. 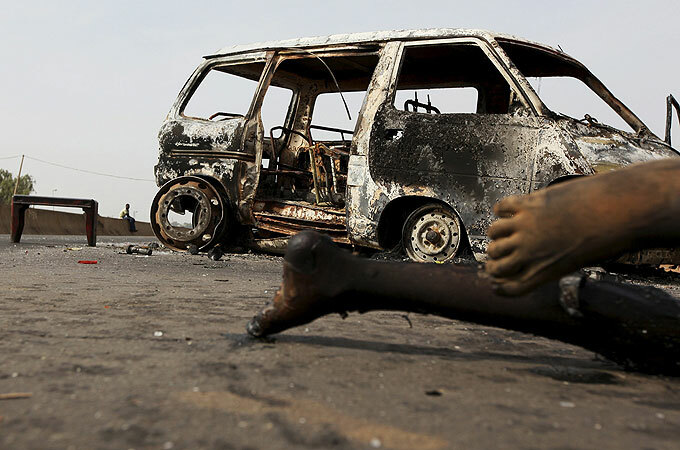 BAUCHI, Nigeria (AP) — At least 500 people died in religious rioting that followed Nigeria’s presidential election, a civil rights group said Sunday, as volatile state gubernatorial elections loom this week. Meanwhile, police in the northern state of Bauchi said at least 11 recent college graduates who helped run polling stations as part of the country’s national youth service corps have been killed in postelection violence, while other female poll workers have been raped. The Civil Rights Congress of Nigeria said that the worst hit area was Zonkwa, a town in rural Kaduna state, where more than 300 people died in rioting. The Civil Rights Congress, led by a Muslim activist, said killings also took place in the towns of Kafanchan and Zangon Kataf, as well as the state capital of Kaduna. 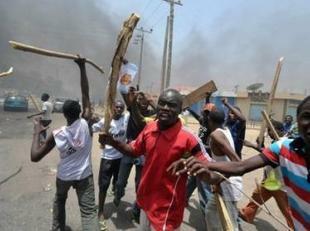 Muslim opposition supporters began riots as results from the April 16 election showed Christian President Goodluck Jonathan had won the vote. Many here in predominantly Muslim north of Africa’s most populous nation felt the next president should have been from their region because a Muslim president died last year before he could complete his term. Retaliatory violence by Christians soon followed, and officials say more than 40,000 people have now fled their homes. Authorities are fearful that releasing any official death toll will only prompt more fighting, but witnesses believe hundreds have been killed across the north. The violence also took a toll on Nigeria’s National Youth Service Corps. Authorities are trying to assure members they will be safe for them to take part in Tuesday’s gubernatorial elections being held in 29 states, though some have already fled their posts. The mobs poured into the streets by the thousands in the dusty city of Kaduna, separating Nigeria’s Muslim north and Christian south, armed with machetes and poison-tipped arrows. Muslim rioters burned homes, churches and police stations in Kaduna after results showed Nigeria’s Christian leader beat his closest Muslim opponent in Sunday’s vote. Reprisal attacks by Christians began almost immediately, with one mob allegedly tearing a home apart to look for a Koran to prove the occupants were Muslims before setting the building ablaze. The rioting in Kaduna and elsewhere across Nigeria’s north left charred bodies in the streets and showed the deep divisions in the African nation. While curfews now stand in many areas, it remains unlikely the unrest will be soothed before the nation’s gubernatorial elections on Wednesday.